What in the world is a mastermind, and is it for you? A mastermind is a group of about half a dozen people who meet regularly to help one another improve, stay accountable, and increase success. Because a mastermind group is comprised of people who are peers, you don’t need to be at any certain level to be a part of one. You can be in a mastermind no matter what level you’re at! 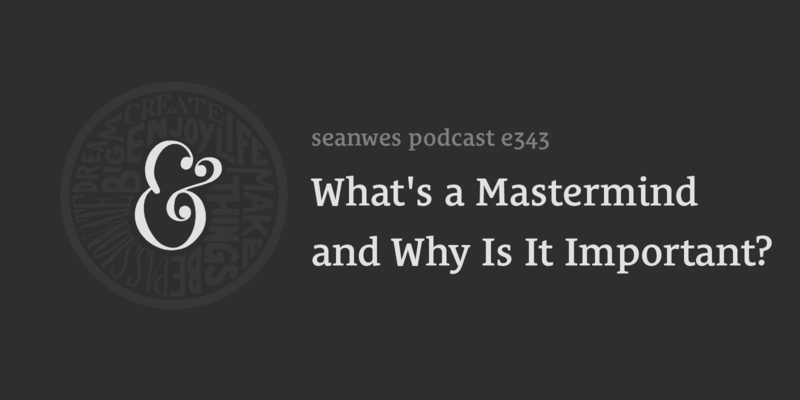 Why would you want to be in a mastermind? Make sure you’re taking action. We talk about these more in today’s show on the importance of masterminds. A mastermind group is typically comprised of about half a dozen peers—people at a similar level to you who are also trying to grow and better themselves. Masterminds can help you improve, stay accountable, and increase your success. Masterminds are about optimizing your business and high-level decision making. Masterminds work best when there’s a commonality in the group (where you can share experiences) and within that commonality, people coming from different angles. A mastermind is for anyone who could benefit from getting a fresh perspective, finding accountability, and ensuring they’re taking action. There’s something you can learn from everyone. You might think you know what people in a mastermind will tell you, but you need outside perspective. You can’t attribute success to what you know but to who you know. It’s important to have relationships and a network you can lean on. If you see everyone who does the same thing as you as competition, you’ll never have community—or in this case, a mastermind group. You’ll get the most value out of a mastermind meeting when you’re struggling and you don’t want to go. If you you think you don’t have time for a mastermind, realize that if you’re heading in the wrong direction without realizing it, you’re wasting time. You’re wasting way more time now than you would be investing in a mastermind to get clarity. You’re more likely to follow through with your commitments when someone else is keeping you accountable.